WOW!! We are expanding “Friendly Smiles Dental”. We are excited to have found someone as rare and valuable as Dr. Rosa Germian and we welcome her onto our team. She has a Dental Degree as well as a Degree in Biomedical Science, and to top it all off, she has a Masters Degree in Microbiology. Dr. Rosa is not only a gifted communicator in English, She is also fluent in three other languages; Kurdish, Turkish and German. 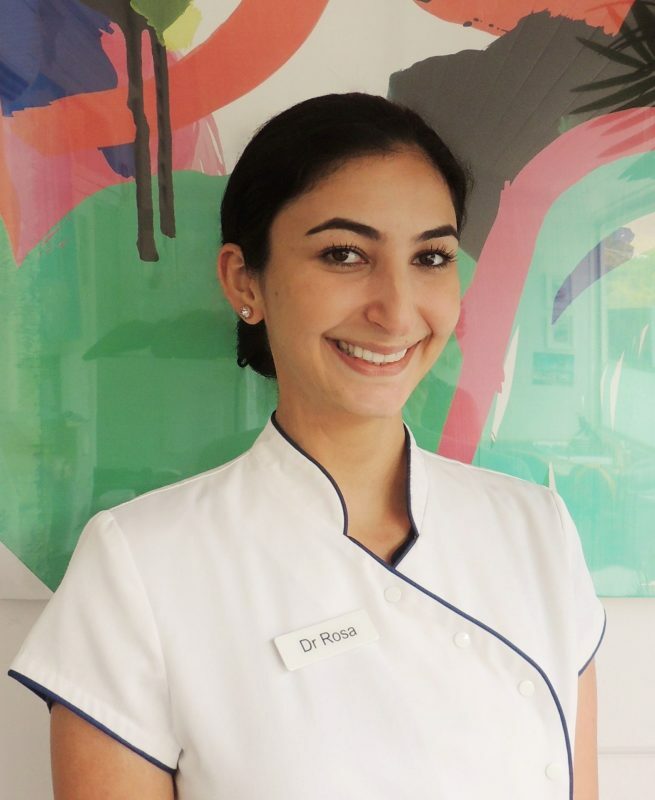 She embraces a holistic approach to dental treatment that is part of the “Friendly Smiles Dental” philosophy which accepts that every cell is connected to every other cell throughout the body. We care for teeth but we are aware that researchers are finding that many diseases have their origin in the mouth. Dr. Rosa also knows from bitter experience that teeth are connected to the brain, stomach and the jaw joints (TMJ). Dr. Rosa personally experienced a severe TMJ problem – so extreme that she could not even chew her food due to excruciating pain. Being a dentist, she was fully aware it was her bite causing her TMJ problem but until she was referred to Dr. Tom Trevethan, she had little hope of restoring her mouth to proper function. Dr. Tom used his unique knowledge and skills to repair her bite so she can now enjoy her life and eat with no pain. So impressed was Dr. Rosa with her recovery that she studied TMJ with Dr. Tom and with her own personal knowledge as a sufferer of TMJ dysfunction, she is now a partner with Dr. Tom at “Friendly Smiles Dental”. Dr. Rosa Germian is one “switched on” person, and in her personal life she loves spending time with her husband, family, and friends. As you can probably gather we are proud to welcome a rare and valuable dentist to our holistic dental practice at “Friendly Smiles Dental”. She is here to help transform your dental health.